Ireland, 1847. Seventeen-year-old EVELYN MOONEY has just burnt a man to death with her bare hands. Now she has to run, keeping it a secret from her brother MICHAEL, until she can figure it out. Together they flee their famine stricken homeland, crossing the Atlantic to New York and into the household of Russian aristocrat VLADIMIR DERMATOV. But their new master has a secret of his own and when his dead brother makes a miraculous return, the stage is set for a reunion unlike any other. 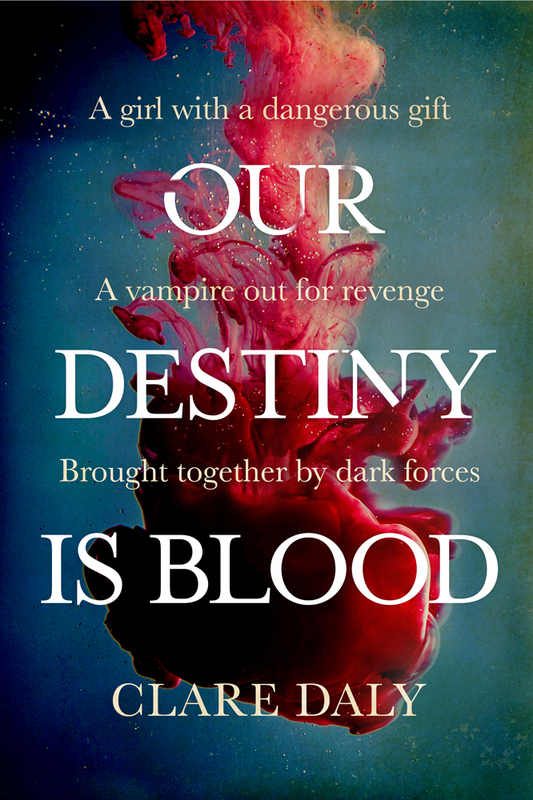 For SASHA is now a vampire, seeking retribution on the brother that left him in the hands of a monster. Their fates will be decided in the mansions of Fifth Avenue and far below them, for a dark force lurks beneath the city who would bring them all together. OUR DESTINY IS BLOOD is out now in e-book and paperback on Amazon and also available to buy in Eason’s O’Connell Street, Easons.com, Dubray Books and Alan Hanna’s Bookshop in Rathmines, Dublin.